The single cup brewer from Keurig may not have taken the coffee drinking world by storm when it was introduced back in the late 1990s, but it eventually became a technology that redefined how we enjoy our favorite hot beverage. 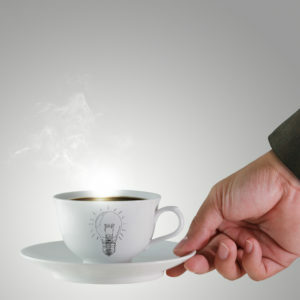 It is technology that has had a profound effect on the coffee industry as a whole. But there are new technologies on the horizon that may just push Keurig back to the fringes within the next decade. We have put together a list of just a few of those technologies. If you could walk up to a counter and get that perfect cup of designer coffee without having to wait on a barista, would you go for it? Equipment manufacturers think so, which is why they are now developing complex, computerized brewers capable of making a wide selection of custom coffee drinks at a moment’s notice. Curtis is but one example. Their Gold Cup machine makes it possible to brew your own customized cup of coffee in just a few minutes. Your traditional pour over machine requires you to adjust the amount of coffee in the filter basket to determine the strength of your finished pot. That’s fine for those who scoop, but for offices that use prepackaged portions or the all-in-one package, strength is determined beforehand. That is about to change. A number of different companies are working on machines that allow you to adjust the strength of the pot without changing the volume of coffee. You can use the same prepackaged sachet to brew light, medium, and full-bodied pots. Brew-Tek already has one such machine on the market. Brewing a cup of coffee using air pressure is a growing trend among the crowd that cannot see themselves clear to using a standard pour over machine. Of course, manufacturers are responding. There is a new sci-fi looking device from Trinity that looks nothing like a traditional coffee brewer. However, it can brew your cup of coffee using three different methods, including air pressure. Slow drip cold brewers are not necessarily amazing new technology inasmuch as they are a different process. Slow Brewers are becoming the latest ‘must have’ device in millennial offices and downtown coffee bars looking to cater to young professionals. The only downside to this technology is that it can take anywhere from 4 to 13 hours to brew a pot. It might be worth it if you are the kind of person who likes the milder and less intrusive taste of cold brewed coffee. Coffee brewing technology is changing to keep pace with the times in which we live. Some of that technology is pushing the envelope in terms of automation and choice; other advances are more about the process. At any rate, Galaxie Coffee welcomes all this new technology as long as it makes what we do better. After all, it’s all about the coffee. It was not abnormal in the 1940s and 50s for a group of ladies to get together for afternoon tea. It was also relatively common through the 1960s and 70s for grandparents to enjoy a nice cup of tea during early evening. Yet tea has not been an American staple since the infamous Boston Tea Party gave rise to the revolution more than 200 years ago. The good news for the tea industry is that 15 years of market evolution is helping the beverage regain a place of prominence. The total retail market for tea in the U.S. was $43.1 billion in 2014. In terms of compounded growth, 2014 was 7.7% higher than 2009, translating to absolute growth of $13.3 billion. Even more impressive is the fact that tea is the second most popular packaged beverage in the world behind only water. At 286 billion liters sold every year, bottled tea outpaces carbonated drinks, iced coffee, fruit juices, and even energy drinks. More Options – Our selection of teas has increased exponentially since the dawn of the 21st-century. Where we used to be limited to fewer than a dozen different flavors at the grocery store, we now have so many more to work with. Just consider the sheer number of herbal and fruit teas we now have to choose from. Then there are tea lattes, tea and juice blends, and even what are known as bubble teas. 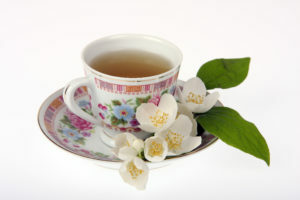 Good Health – Green tea is one of the most popular tea products in emerging markets. Our desire for better health is causing us to make more conscientious decisions about what we eat and drink. Thus, green tea is popular because it is seen as being part of a lifestyle that relies more on ancient Eastern practices than Western medicine for good health. Shopping Habits – Millennials, which just happen to be the most coveted demographic for retail sales, are now more likely to shop at Whole Foods and other specialty stores rather than traditional grocery chains. What’s more, the places they choose to shop are more likely to have a larger selection of teas than coffees. It is all part of a culture shift that seeks to get back to a simpler, more wholesome way of life. Millennials view tea as part of that more healthy life. Galaxie Coffee offers a full range of tea products, both brewed and bottled, to our customers in the greater New York area. We would be proud to provide your workplace with coffee and tea service offering plenty of choices, the latest equipment, and excellent pricing.